Photos of F1 drivers, or those taken in the F1 paddock and pits and elsewhere, are not in any sort of shortage of course. Neither are signed photos and the like being sold to raise money for charity. But Zoom auction put a unique twist on this familiar theme, by getting F1 drivers and team principals, as well as Bernie Ecclestone, to take photos themselves to put up for auction. Now in its fourth year, the latest Zoom auction will take place in London this Friday evening coming, the 5th of February, and will be hosted by Suzi Perry. It'll include images taken by Lewis Hamilton, Sebastian Vettel, Fernando Alonso, Daniel Ricciardo and Jenson Button and many other well-known F1 figures, who also have signed the photos, and plenty of F1's leading personalities will be at the event in person. Best of all the event is held in aid of Great Ormond Street Hospital Children's Charity. 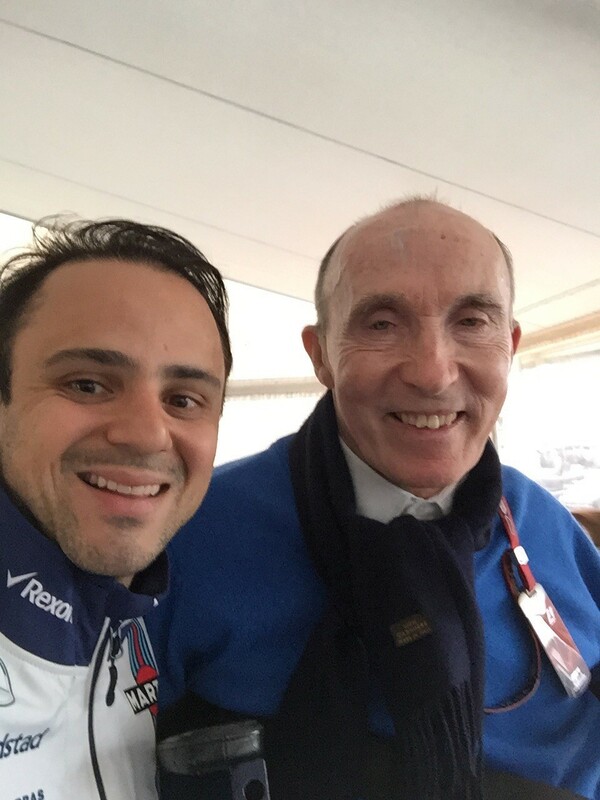 Felipe Massa: "A selfie with my boss and great friend. It is a great honour to race for his team." 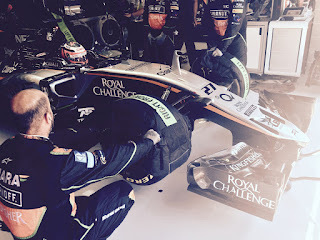 Vijay Mallya: "This photo captures the special atmosphere in the garage before Nico heads out onto the circuit - into the bright glare of the sunshine. 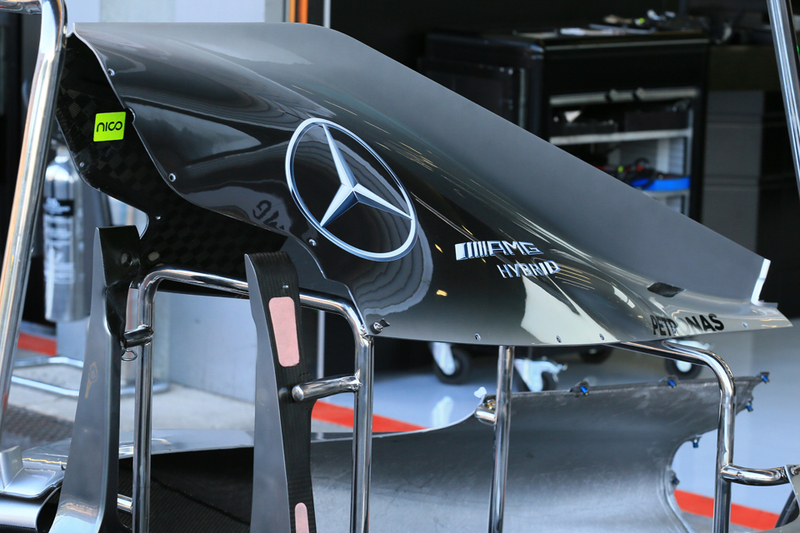 It also shows the latest updates on the b-spec VJM08, especially the innovative nose design that we introduced earlier in the season. The car looks aggressive and beautiful, just as a Formula One car should." 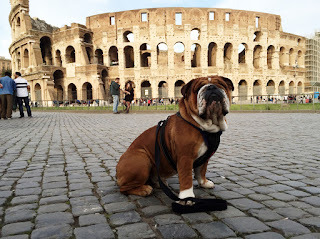 Lewis Hamilton: "Roscoe does Rome." Jenson Button: "Hepburn Springs, mountain biking. The weekend before the Melbourne GP 2015"
After years of ignoring social media and its power, it seems that F1 might just embrace it with a storm - a 'Driver of the Day' may be selected from this new media. In this week's episode of the Inside Line F1 Podcast, Mithila and Kunal tell you how clichéd such ideas are and how F1 could push the limits on social media too. Could fans choose what colour should Lewis Hamilton dye his hair next? Or who Pastor Maldonado should crash into! Now 30 years on we presumably can expect a few retro features. 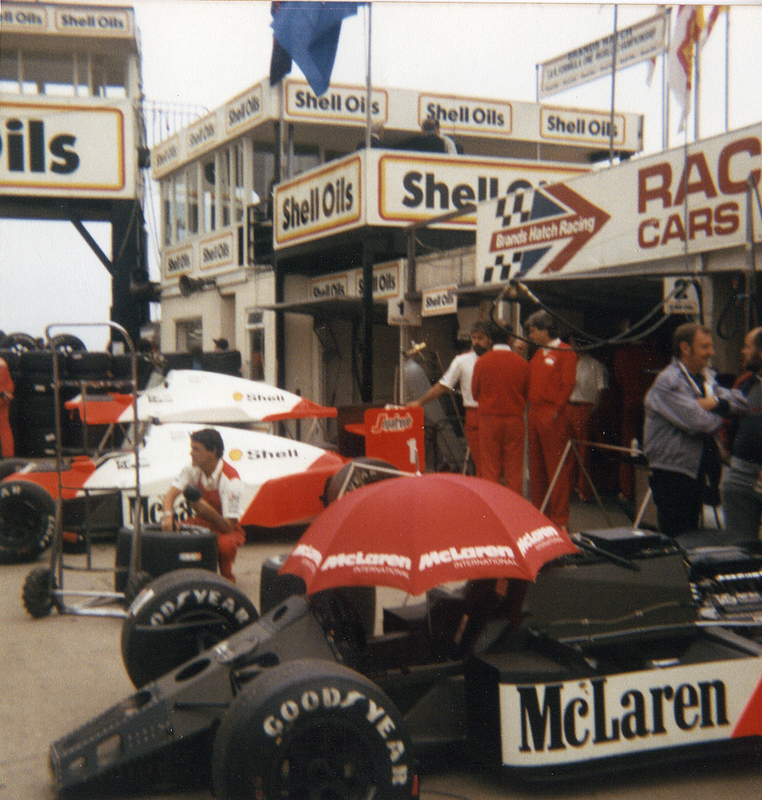 There is a consensus that the 1986 F1 season is an all-time classic, and it brings many familiar things to mind to even the fan who was not around at the time to witness it. This includes not least its extraordinary finale, encapsulated by the oft-repeated footage of Nigel Mansell's exploding Goodyear - the vast shower of sparks and all - on Adelaide's Brabham Straight which helped Alain Prost to a long shot drivers' championship. A title that, still three decades on, is arguably the last claimed not in the best car. Whatever, it was an achievement about as extraordinary for The Professor as the finale that delivered it. via Wikimedia Commons - https://commons. It's also viewed more broadly as a golden age: rip-snorting turbos and a stellar cast of drivers to tame them. Mansell and Prost we've mentioned, but you can add to it Nelson Piquet and a young Ayrton Senna. 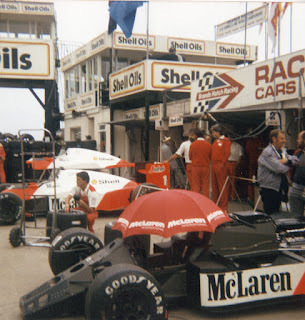 It also was a season with a strict in-race fuel limit and many resultant economy runs - some comical last gasps of races too as various cars ran dry - but best not spoil the moment. One could argue also that competitiveness or variation at the front beyond these names weren't the season's strongest boasts either. That year many spoke of a 'Gang of Five' with Prost's McLaren team mate Keke Rosberg variously added to the quartet mentioned, though perhaps 'Gang of Four' would have been more fitting as Rosberg was the least regular presence among them at the sharp end by a way. Almost never would anyone else beyond this five get a look-in. Yet in among the 1986 rounds was an extraordinary outlying weekend on this front. That in Austria. 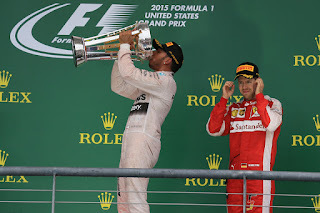 Inside Line F1 Video - Vodka Shots On The F1 Podium? As mentioned Kunal and Mithila from the Inside Line F1 Podcast have recently started to produce videos to go alongside their other output, and you can watch the latest one below. It accompanies Kunal's Hamilton To Blame For Mumm's Exit From F1? article that featured on Talking about F1 a few days ago. In the video Kunal talks about the, erm, interesting reaction to what he wrote. 2016 F1 Betting Preview - is Rosberg being underestimated? I have heard it said that few sports offer as many opportunities to the betting punter as F1. Perhaps it reflects the sport's inimitable complexity, its many layers, or that even at its most tepid multiple things can and do influence the results. All of which may befuddle even the infamously never-poor bookies. But there is of course a crucial difference between now and those Button and Senna cases mentioned at least. Both of those happened in the first seasons following big rule shifts, in which the order can be dramatically shaken. This isn't the case now as we stand before the 2016 campaign, with the alterations since 2015 in the minor detail only. Furthermore the order looks rather firmly set - Mercedes far ahead of Ferrari which is itself far ahead of the squabbling peleton. And William Hill in its betting odds appears to agree. Mercedes to retain its constructors' crown is a swingeing 1/5, while for its driver Lewis Hamilton to do the same isn't much more generous at 4/7. Yet even with the odds this short there is a case that it remains the sensible place to put your money. Both driver and team seem worthy of such confidence. 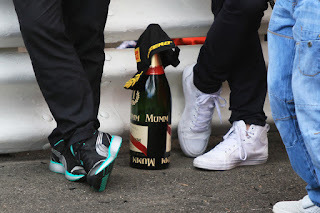 Mumm decided to not up their sponsorship money (from €5 million to whatever Bernie wanted!) to Formula 1 thanks to Lewis Hamilton. After all, the sport's world champion ganged up with a former three times world champion to promote vodka - a category rival to champagne! Hamilton-Lauda's vodka video did what none of Mumm's champagne videos have managed so far yet - go viral. Sources indicate that the trigger for this decision was Hamilton's champagne spraying moment in China. The nail in the coffin was when sponsorship tracking reports indicated that Johnnie Walker gained more mileage in 2015 from McLaren-Honda's failures and Alonso's humour. 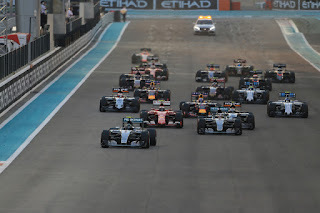 New Grand Prix Times article: Is Ferrari really set for a title challenge in 2016? Perhaps not. Mercedes vs. Ferrari. More to the point, Lewis Hamilton vs. Sebastian Vettel. Count on it. So many are saying anyway. That - for all of F1's woes and the arguably tepid conclusion to the 2015 campaign - something rather exciting awaits in 2016 as our salvation. That Ferrari will make another step-up between seasons just like it did 12 months ago and that will result in this titanic scrap for honours at the front. One pundit said it "could be a rivalry to mark the end of days". Heady. Sounds rational enough too. But is it actually that likely Ferrari will move onto the level of the pace-setting silver lot? Maybe, on closer analysis, it isn't. 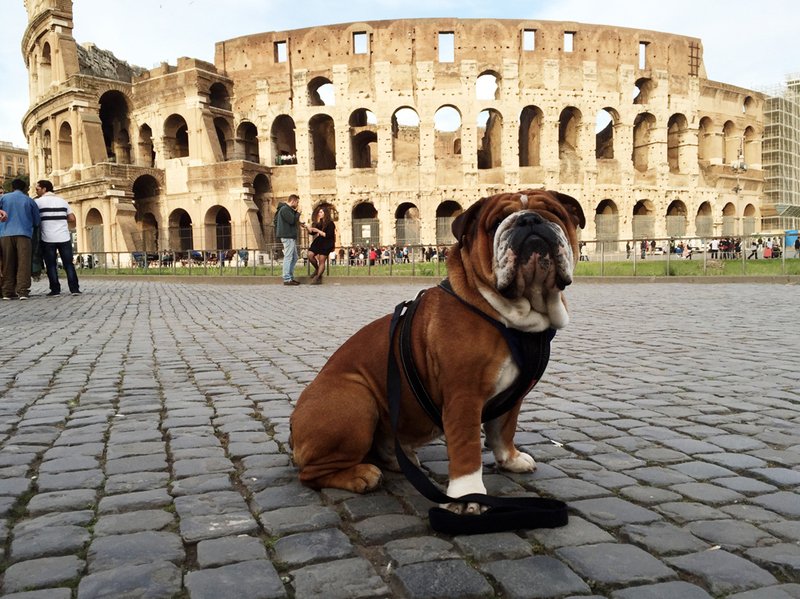 No, this episode isn't about Lewis Hamilton or his dog Roscoe. But the spotlight is on the underdogs of the sport - the Force India F1 Team and IF they will bull-y Red Bull or Williams this season. Mithila and Kunal offer perspective on the team's ambition to finish 4th in 2016, what it would take to get there and who they will need to beat en route. 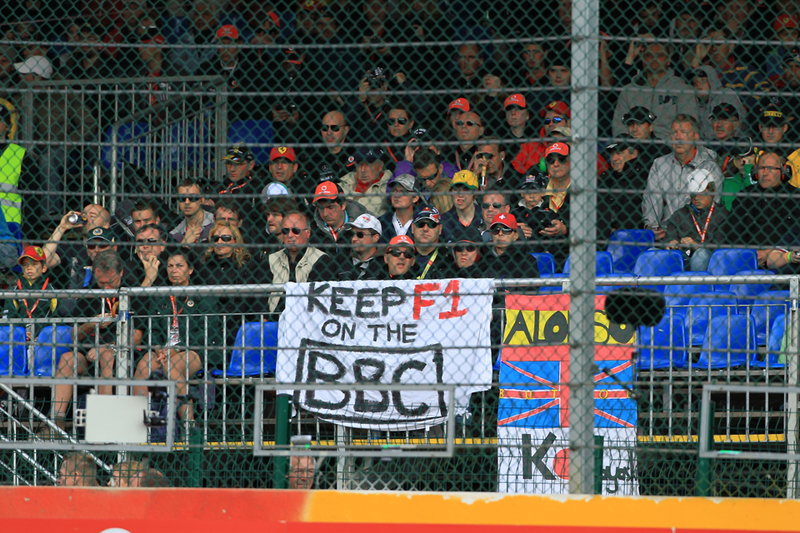 Formula 1's TV contract with the BBC has been cancelled three years before the end. It has left those in and around the sport scratching their heads and looking for answers as to the reason behind the decision and where to go now. Channel 4 has answered one of those questions already swiftly swooping in to pick up the remaining contract. Has the BBC got off the ride just in time? Was the decision really money motivated? 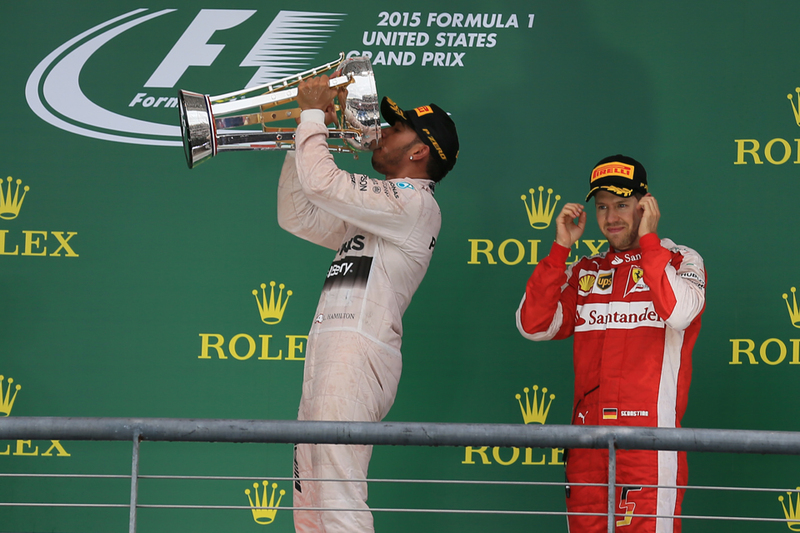 What does it mean for Formula 1? 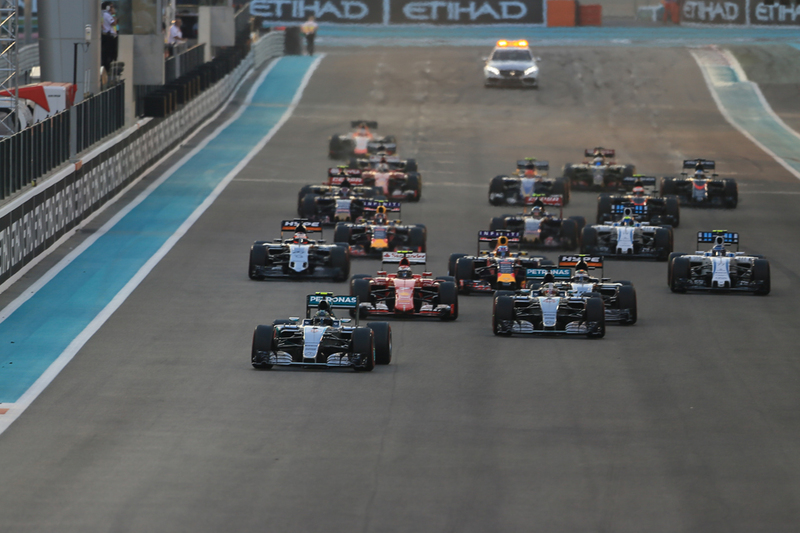 Bernie Ecclestone has admitted that since the move to pay TV the amount of viewers in the UK of F1 has diminished. In 2009 the BBC's bringing the world's premium race back to the masses was seen as a coup. It was able to offer non-interrupted ad-free races and extended highlights to a greater audience. On top of these the world famous Fleetwood Mac song 'The Chain' would return, to the delight of fans everywhere. But less than six years later the BBC has cut all ties. 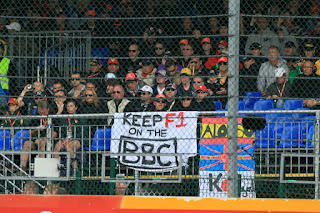 Barbara Slater of the BBC said "A significant chunk of BBC Sport's savings target will be delivered through the immediate termination of our TV rights agreement for Formula 1". It is true that the Beeb has been under pressure from the government to cut spending, and with a total saving of £150m to be made this year, there were always going to be big names getting the chop. Most notably The Voice was sold off to ITV. In sport the BBC has said it would like to concentrate on flagship events that have a national relevance such as Wimbledon or the World Cup. The cost of Match of the Day rose to £204m with the new TV deal too and therefore more 'niche' sports like F1 would have their budgets shrink (in this case all of it!). We start 2016 with a bang! Mithila and Kunal are proud to present the 2016 Inside Line F1 Podcast Awards. Our version of the awards promise to reward the most entertaining and humourous moments in the sport. And worry not, we are far away from the usual categories - the best driver, best team, best race and blah!